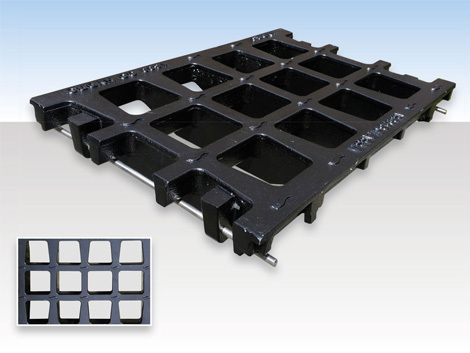 The new Hydro Hi Flow Grate with Profix Locking System is the perfect solution for the fast removal of large amounts of water from road surfaces. 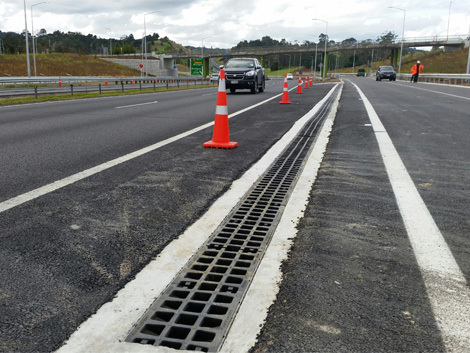 Large grate holes maximises water intake and minimises ponding. Fast removal of water from road surfaces. Manufactured from durable Ductile Iron. Includes KTL Coating which is a finished technological process used for the coating of metal surfaces with a thin, solid, one layer corrosion resistant paint. Certified to AS3996 Load Class D.
Includes anti-shunt lugs which prevents longitudinal movement. Compatible with Hydro Drain Supreme C2000 and C3000 Channels. MEA Profix integrated locking system ensures grate cannot move once installation in channel completed. PROFIX has no moving parts and also guarantees long-term functionality under extreme conditions. The grate has been designed to snap securely into the edge of the channel. What’s more, integral lugs prevent any lengthwise movement of the grating. For more information visit www.hydrocp.com.au or call toll free 1300 GO HYDRO.